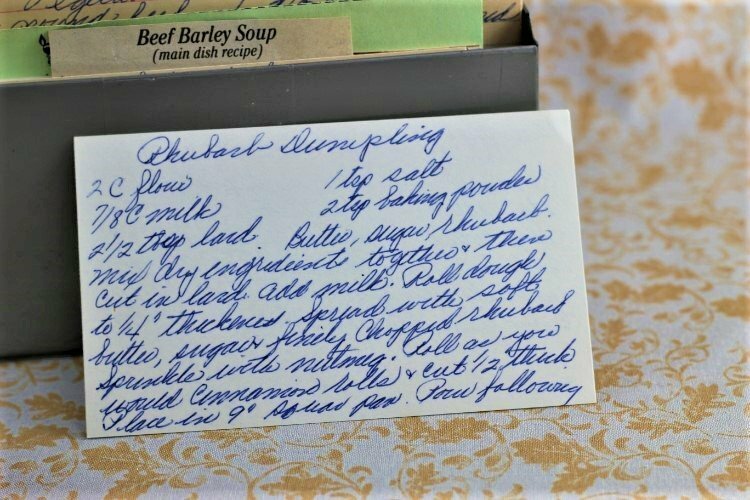 Front of the recipe card for Rhubarb Dumpling. 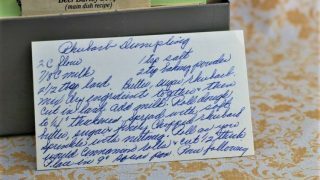 Back of the recipe card for Rhubarb Dumpling. 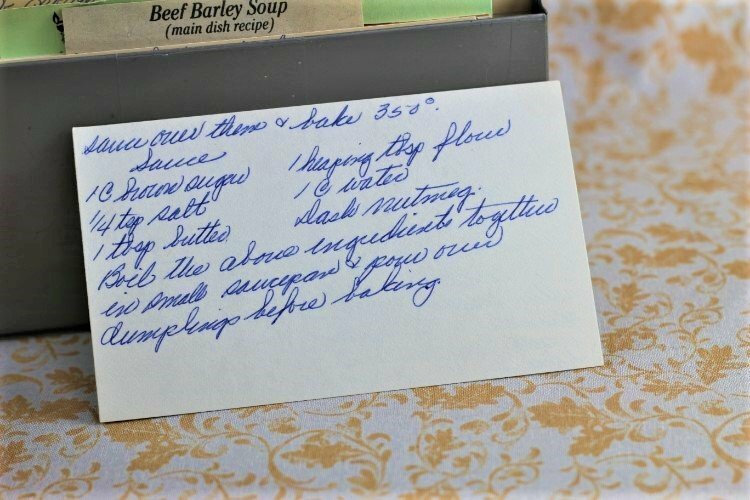 There are lots of fun recipes to read in the box this recipe for Rhubarb Dumpling was with. Use the links below to view other recipes similar to this Rhubarb Dumpling recipe. If you make this Rhubarb Dumpling recipe, please share your photos and comments below! Mix dry ingredients together & then cut in lard. Roll dough to ¼" thickness. Spread with soft butter, sugar & finely chopped shubarb. Roll as you would cinnamon rolls & cut ½" thick. Place in 9" spread pan. Pour following sauce over them & bake 350°. Boil the above ingredients together in small saucepan & pour over dumplings before baking.